The Professional Golfers Association (PGA) will begin its first-ever regional tour golf competition in the Western Region, which tees off from tomorrow to April 19, DAILY GUIDE SPORTS understands. PGA President Tony Mintah pointed out that the initiative primarily seeks to generate the interest of professional golf in the country. He mentioned that the four-day event will be played on four different golf courses, with the Damang golf course hosting the opening day. Later, it will move to Nsuta for the second day, with Bogoso and Tarkwa hosting in that order. Tarkwa will host the forth and the final day, where prizes will be given to deserving winners. 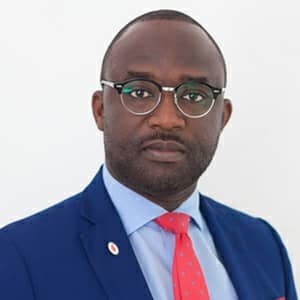 A total of about 50 golfers are expected to take part in the event, according to tournament director Nana Akwasi Prempeh. From there, the association will then turn attention to the 62nd Asantehene Invitational Championship from May 8 to 12, 2019, in Kumasi at Royal Golf Club. Golf courses such as Achimota, Celebrity and Tema Country Golf Clubs will be hosting the event for the Greater Accra Region. The third regional tour will be hosted by the Ashanti Region and golf courses like Royal and Obuasi Golf Clubs, making it seven competitions in a calendar year. Mr. Mintah expressed gross thanks to Gold Fields Ghana Limited for their immense support to the PGA and appealed to other corporate institutions to emulate the shining example of Gold Fields to help develop professional golf in the country considering the fact that golf is now an Olympic sport.